Length: 24 in. Wing span: 43 in. 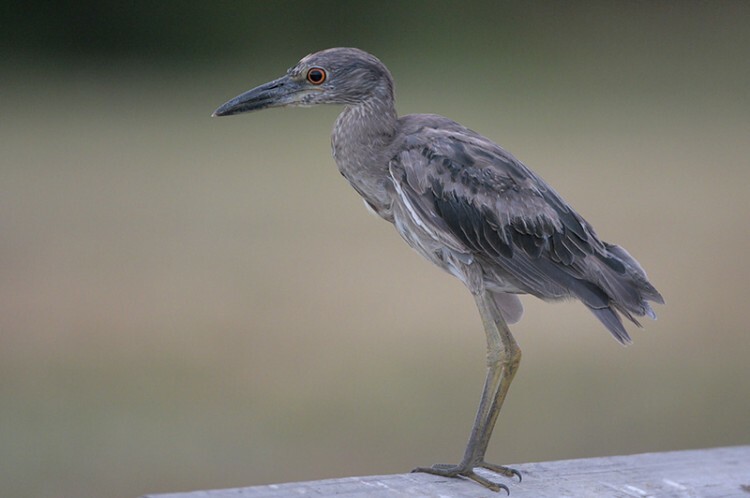 Yellow-crowned Night-Herons have expanded their breeding range to the north, and are also known to make post-breeding dispersals to the north or west. Birds in northern portions of the breeding range are migratory. While Yellow-crowned Night-Herons nest fairly close together, they prefer a bit more space when foraging. 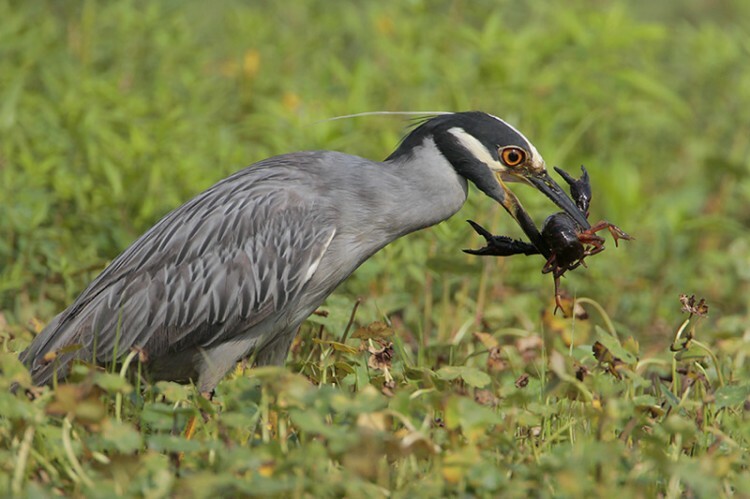 Yellow-crowned Night-Herons begin breeding at age two, and frequently return to the same nest location year after year, sometimes for over a decade. Both crows and mammals have been identified as major sources of nest predation.